When Henry was younger he had a Trunki which was the ideal travel companion. Henry is now six and very tall for his age. Despite my hatred of the fact, he is growing up and sadly he has out grown the Trunki. I was really excited to hear about the Jurni which is from the same people that created the Trunki only it’s for children up to around 12 years! 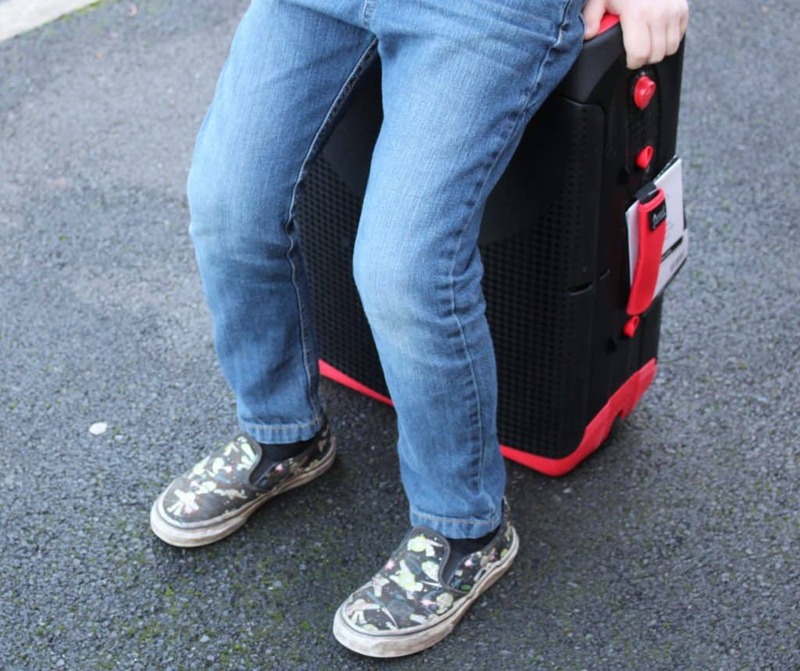 The Jurni is a sit on, ride on, carry on suitcase that is fun yet entirely practical. Whenever we travel we spend a fair amount of time in the airport – it’s a given, right? It can be the worst part of your journey if you have children though which is why I was always a big advocate of the Trunki. Henry grew out of the Trunki this year so having the Jurni to replace it is music to my ears. 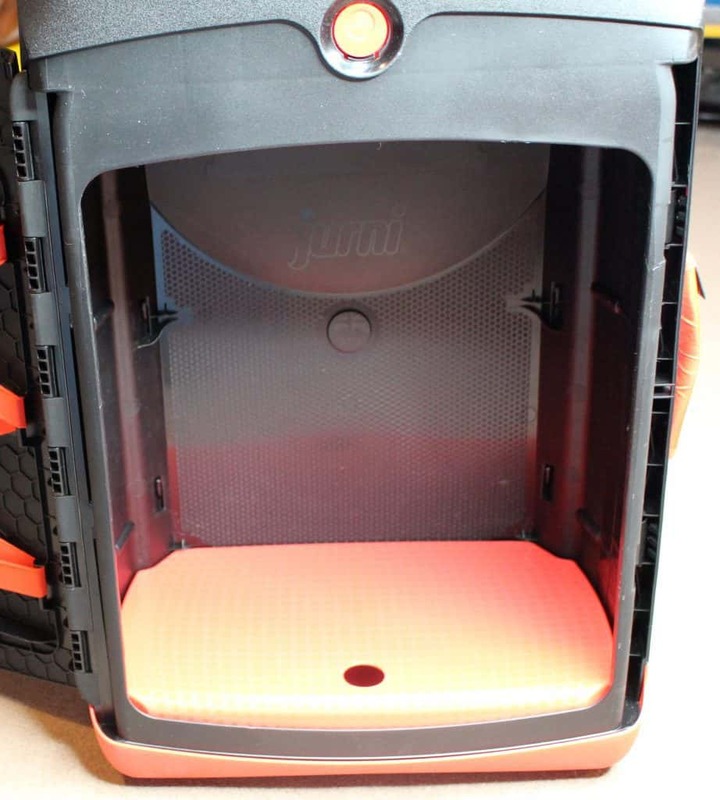 The Jurni is a flexible storage solution which is very spacious. You can use it as an upright locker when you are at your destination and you can even create a shelf inside! The top has a ‘portable pod’ which pops out easily. It’s the perfect place to store gadgets and accessories you will want access to before and during your flight! The Jurni can easily be used to sit on which is perfect when you are in a long queue or in a busy airport where the seating is limited. Children tend to get tired legs and once that happens getting them to cooperate can be HARD so this is a perfect solution to keep them happy! Another great function is that the Jurni can be sat on and used to ‘glide’ making that time in queues or getting from one end of the airport to the other slightly more bearable for the younger ones! 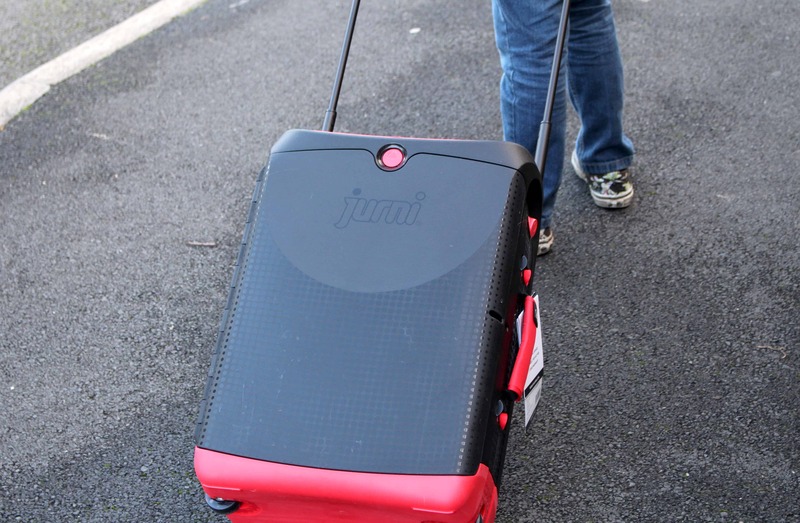 The Jurni is cabin approved which means you won’t have any issues using it as hand luggage on most airlines and is the perfect size for your child to pack essentials and more. It’s made from hard sided polyproplylene with a 25-litre capacity and comes with a 2 year warranty. Henry was very impressed and excited to use the Jurni. It is naturally the next step in regard to travel companions and gives him the independence that children of his age crave. He loves being able to glide or sit on the case for both practicality and fun. As a parent, I am hugely impressed with the quality and build of the Jurni. I am always skeptical when it comes to items like this as I often feel they are a gimmick without real practicality however I couldn’t be more wrong. Henry has ample space to store his travel essentials and more which means my hand luggage can stay free for my own items! This case is built to last and means that Henry will get much use out of it now and in years to come. 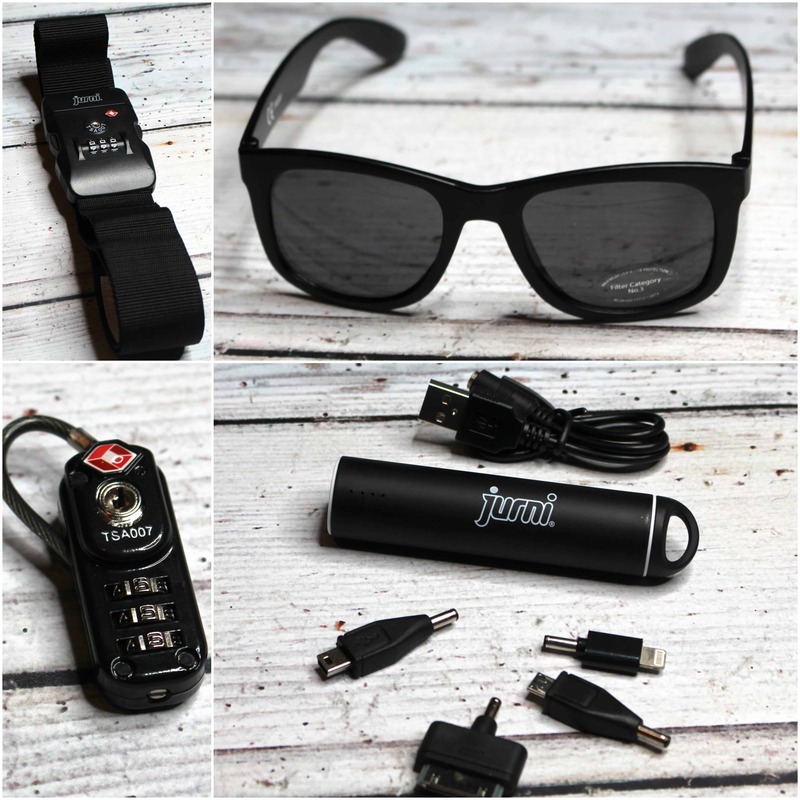 The Jurni is currently £79.99 or you can purchase the ‘mega bundle’ on special offer for £89.99 – which is absolutely worth it! Find out more about the Jurni and where to buy on their website here. I received the Jurni on a gifting basis in return for an honest review however as always all words, opinions and thoughts are my own! Prices are correct at time of printing please see individual websites for up to date prices. For more information on any of this please visit this page.